Portland, OR – The Rose City Roller’s Wheels of Justice won their third International World Flat Track Derby Association (WFTDA) Championship on Sunday with the 144 – 121 win over Victorian Roller Derby League (VRDL) from Melbourne, Australia. This is the third time that Wheels of Justice have won The Hydra, the sport’s championship trophy. Sunday’s win culminated a weekend of play. 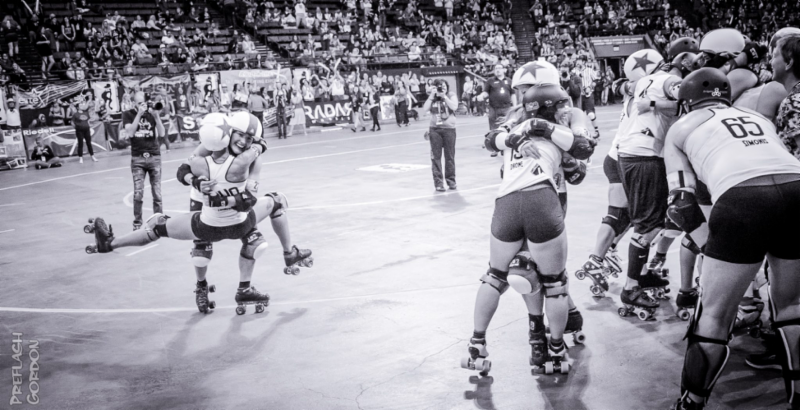 On Friday, WOJ defeated Montreal Roller Derby with a score of 218 – 107. WOJ’s 150 – 124 win on Saturday over Gotham Girls Roller Derby earned them their spot in finals. Rose City’s defense was perhaps the story of the championship bout: veterans like Tarandiehl “Tarantula” Bahgat, Drew “OMG WTF” Flowers, Rochelle “Gal of Fray” Jubert, Morgan Levy, Elicia Nisbet-Smith, Mia Palau, Juniper Simonis and newcomers to the team like Dena “Drone” Lactaoen, Oona “Polygamy Winehouse” Niemensivu, and Tenacity Remington came together to stymy a powerful VRDL offense. Jubert was recognized as the Tournament MVP given her ability to be both a blocker and a point-scoring jammer. WOJ’s win on Sunday secures their place as a dynasty in the world of roller derby: this is the third time in four years that The Hydra will take up residence in Portland. Only New York City’s Gotham Girls Roller Derby have won the sport’s highest honor more. Roller derby returns to Portland this weekend when the Breakneck Betties take on the Texas Roller Derby Addicts on Friday night and then again on Saturday when the High Rollers play the 8 Wheel Assassins from Salem, Oregon.  Tickets for both bouts are available at www.rosecityrollers.com.